Truly the first and only hands free lacing system on the market Treksta’s revolutionary Zerotie is now offered with the athletic styling and great fit story that Treksta is know for. 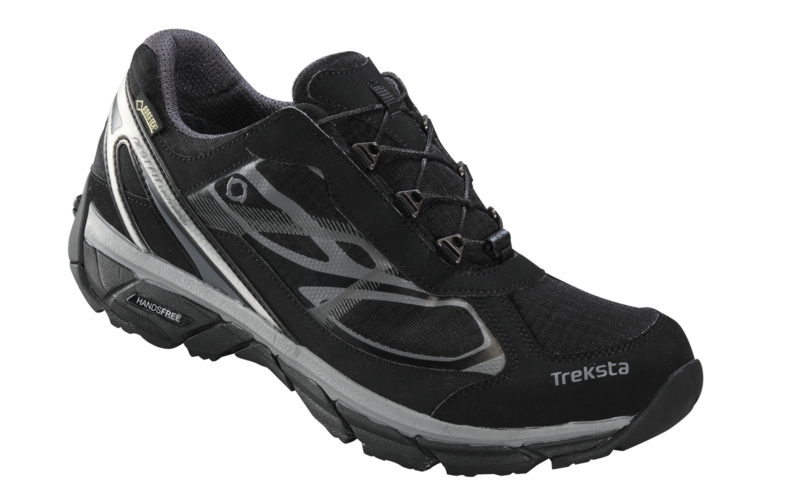 Treksta’s Zerotie lacing system is foot activated, requiring no bending or hands to put on or lace up the shoe. A simple internal roller allows your foot to tighten your laces to the desired level of tightness, then an intuitive touch lever actually opens up the tongue to remove and reinsert your foot easily. Great all around shoe for daily use, comfortable walking, work, especially if your hands are full and tying and untying laces isn’t your favourite pastime! Treksta’s ZEROTIE foot activated lacing system. The first Handsfree shoe lacing ever! Slip on your shoe, slide the heel for lace-up, release the lacing by simply stepping on the release buckle.